Antontrey Begaye knew he wanted to become a physician after doing clinical rotations as a medical assistant in high school while taking career and technical education classes in the Flagstaff Unified School District. 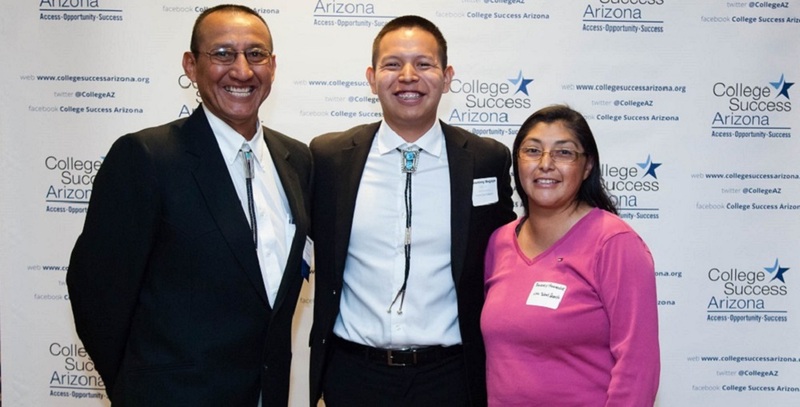 But he wasn’t quite sure how to get there until he received help from mentors Eugene Begay and Kim Kryger at Northern Arizona University’s Educational Talent Search. 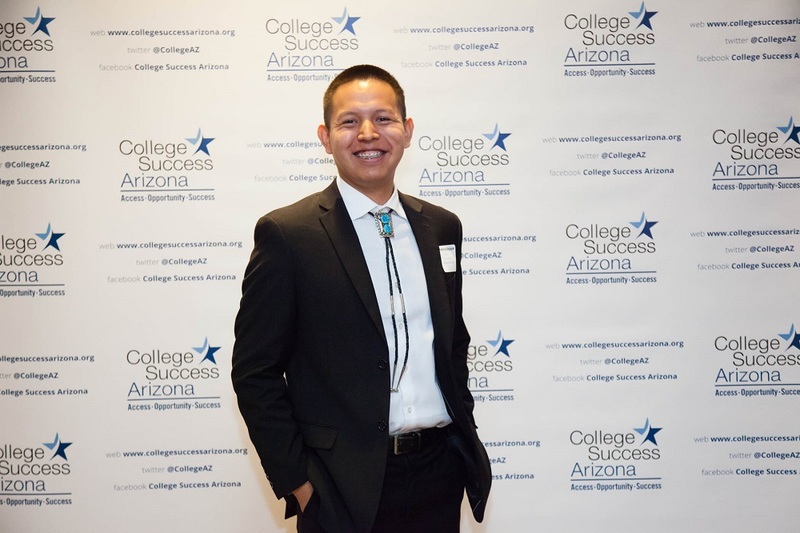 They encouraged Begaye to apply for financial aid through College Success Arizona and drove him to Phoenix for the interview. Now Begaye, a recent graduate from Arizona State University with a bachelor’s of health sciences degree, is applying to medical schools. 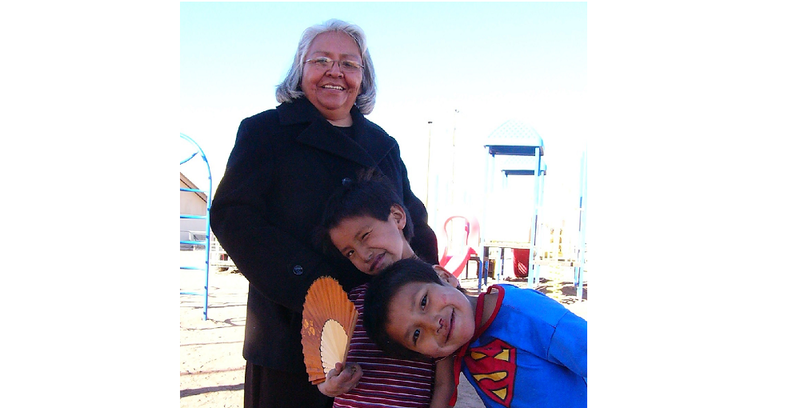 In the future, Begaye plans to practice internal medicine with community members in Flagstaff and the nearby Rough Rock Navajo reservation where he grew up. 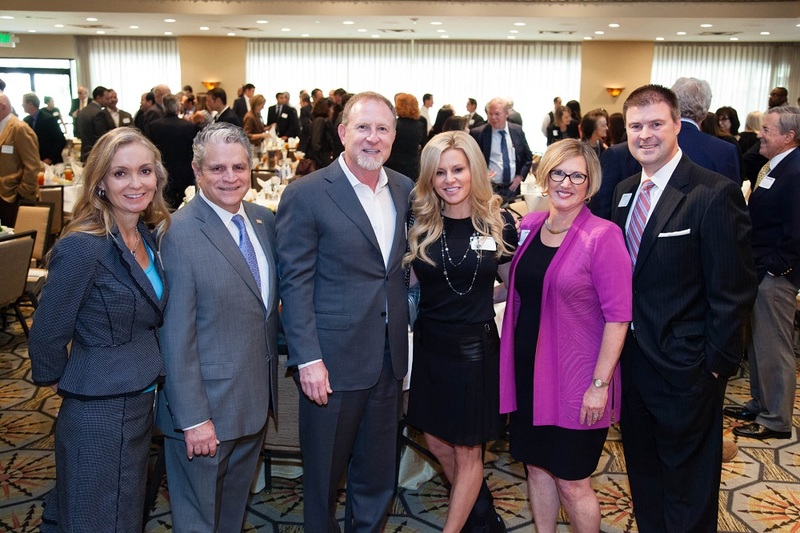 “Education is the most important thing to support if we’re going to have a healthy society,” said Jim Lundy, founding president and CEO of Alliance Bank of Arizona, who hosted a recent luncheon where Begaye was honored. 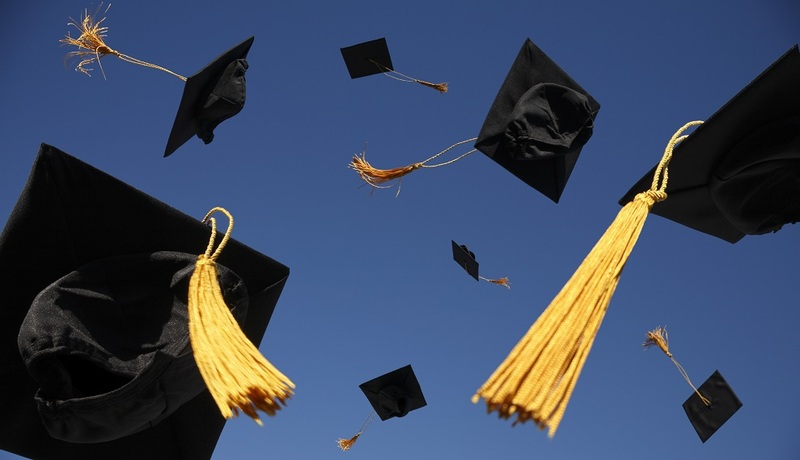 In Arizona, about 37 percent of adults currently have postsecondary degrees and credentials, according to the U.S. Census Bureau. That’s considerably less than the 68 percent of all jobs in Arizona that will require a postsecondary degree or certificate by 2020 as projected by Georgetown University’s Center on Education and the Workforce. Sarver and his wife, Penny, believe strongly in giving back to their community, and much of their personal philanthropy as well as their corporate giving goes directly toward improving educational opportunities, Lundy said. 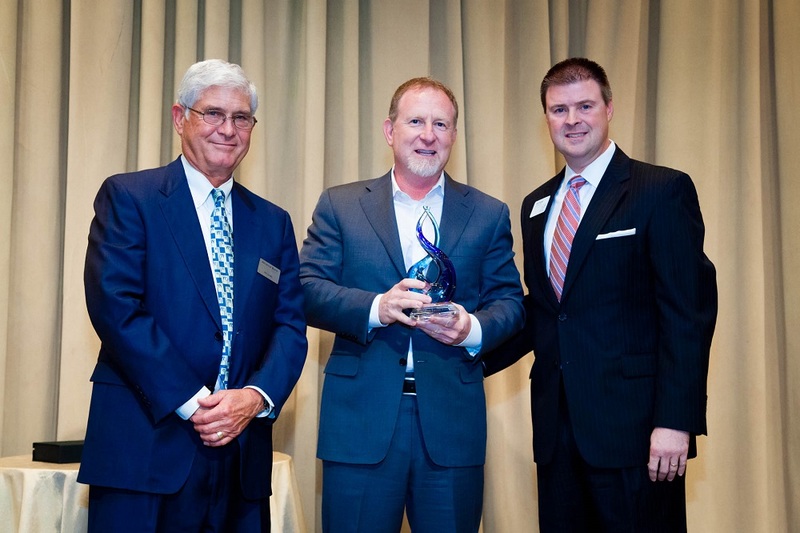 Sarver, a University of Arizona graduate, was honored at College Success Arizona’s Leaders & Legends luncheon last week. College Success Arizona works to increase Arizona’s college graduation rate through partnerships with college access and scholarship programs, providing scholarships, mentors for students, and support for more than 200 college access and success organizations throughout the state. Seventy percent of College Success Arizona students are the first in their family to go to college, and 100 percent of students have high financial need, said Rich Nickel, president and CEO of College Success Arizona. 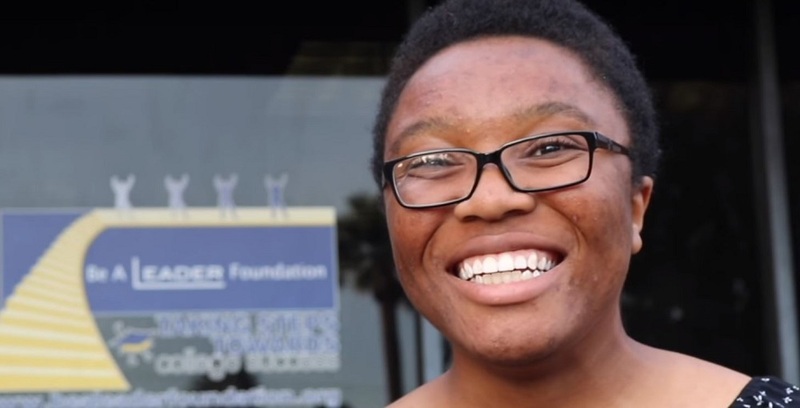 “All students face barriers in getting their college degree. First-generation students face even more challenges,” Nickel said. Since 2005, College Success Arizona has committed almost $14 million in scholarships to nearly a thousand students, said Vince Roig, founding chairman of Helios Education Foundation and chairman of College Success Arizona’s Board of Directors. “During that time, 241 College Success Arizona scholars have earned a degree, and 400 students currently in our program will earn a degree over the next few years,” Roig said. 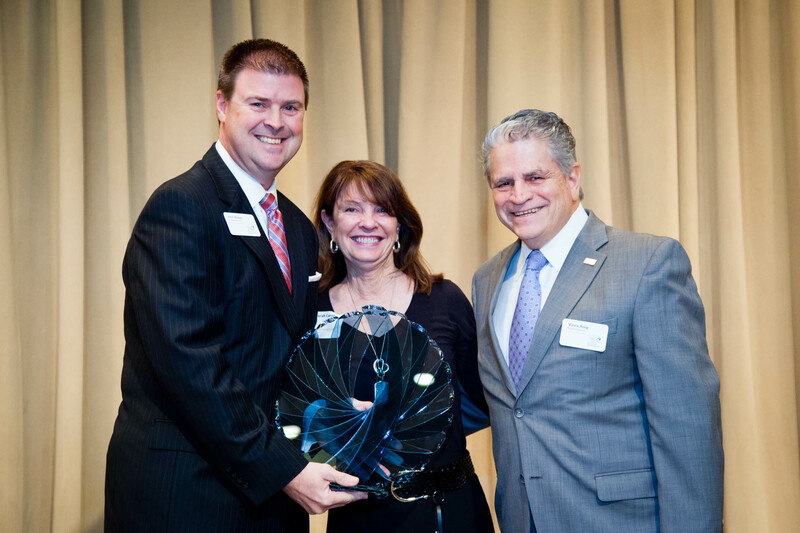 The organization also honored Deb Carstens, manager of Carstens Family Funds and College Success Arizona board member, with the initial Bob Craves Vision of Success Award. “She was instrumental in fostering the success of almost 100 College Success Arizona students over the last 10 years and makes a true difference in our community by investing in multiple programs that impact low-income, high-potential students throughout the education continuum,” Roig said. 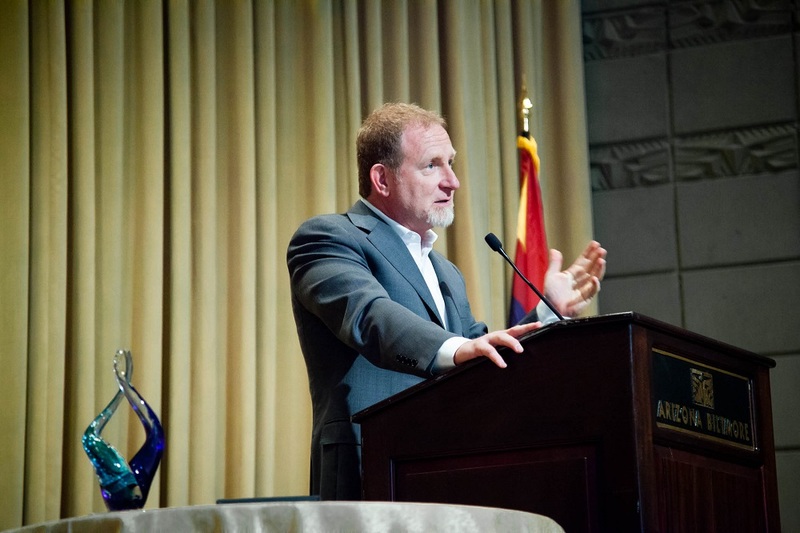 College Success Arizona has given many young people the opportunity to pursue a higher education they otherwise might have thought was out of reach, Sarver said. Sarver said his parents instilled in him the value of a college education. His mother was a committed teacher, who believed strongly in education. About a month after Sarver’s father passed away in the 1980s, the superintendent of schools in Tucson came to their home to talk with Sarver’s mother and the rest of the family. “For the last five years, unbeknownst to my mother and any of us, my dad had been funding a new suit, a new dress for any high school graduate in the City of Tucson who couldn’t afford to get one, because he remembered when he went to graduation he was embarrassed that he didn’t have the money to have a decent pair of shoes and a jacket,” Sarver said. “That’s the first time it really hit home to me what he meant by education and how important it is,” Sarver said. Sarver said he can see what education has done for this three sons who are in high school, the opportunities education is creating for them, and the possibility for success they will have. While funding remains critically important, the key to helping a student complete college is a mentor or success advisor who encourages and guides that student’s success, Nickel said. “Students in our program today are graduating at a rate of over 70 percent, thanks to our success advisors along with the funding,” Nickel said. Mentoring partnerships with The Arizona Community Foundation, APS, ASU, Maricopa Community Colleges, Gear Up, The Arizona Hispanic Chamber of Commerce, Helios Education Foundation, Arizona Diamondbacks, SRP, The Steele Foundation and many more organizations have been key. Increased mentoring has helped raise the number of students who complete their college degrees, Roig said. When students get to campus it can be overwhelming, Roig said. Begaye said his mentors from high school through college have been so helpful in so many ways. Begaye said his mentors Angie Delgadio and Caleb Holstein helped him so much while he was at Arizona State University. 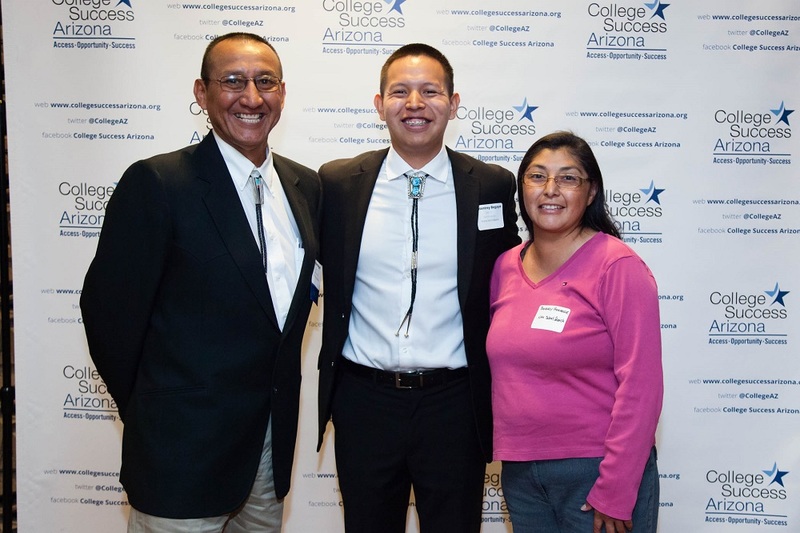 In recognition of the importance of mentors, Begaye honored one of his earlier mentors – Eugene Begay from Northern Arizona University’s Educational Talent Search – by presenting him with the first College Success Arizona Star Award. The award recognizes the college access and success professional who has demonstrated an extraordinary level of personal commitment and leadership, and goes above and beyond to help their students – especially low-income, first-generation Arizona students – access higher education, Nickel said. College students or young people aren’t the only ones who need mentors, Sarver said. “Everyone needs mentors at all stages in life,” Sarver said, noting he was fortunate to have a number of mentors.